Uber's big mouth, Taylor Swift's surprising fanbase, a mission to the moon. 1. Uber's executives should check they're off the record before talking to journalists. 2. Taylor Swift fans are surprisingly likely to be Ukip-supporting young men. 9. 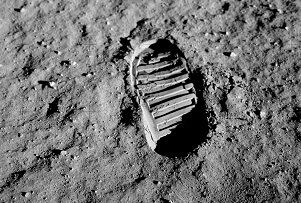 An estimated 10.5 million people will need an appetite for time capsules if a crowdfunded mission to the moon is to reach its funding target. 4. There's high profits to be made as a study predicts the market for legal cannabis will reach $10.2bn (£6.5bn) by 2018. 5. If your desk is so messy that you're encroaching on the space of others then you might just be a 'visual thinker' rather than just an obnoxious pain in the arse. 6. Dyson has been remarkably successful in Japan. 7. John Lewis shoppers have been splashing out on Smeg fridges since its Monty the Penguin Christmas ad debuted earlier this month. 8. If you don't mind the stress of moving before Christmas, now could be the best time to snap up a house. 9. Wonga should be offered a loyalty discount by its executive recruitment firm. The payday lender has now lost four bosses in not much more than a year. 10. Yahoo is going after Google (and Bing...) in a bid to boost its share of the search market.